Editor’s note: This is the second part in a series. The first part, My Early Life, recounted how our author’s family returned to Afghanistan from Iran in 1994 when she was eight years old. We had been living outside of Herat in the house my father built for only a few months when the Taliban took control. A few weeks later my brother, who was twelve, became very sick. He had a high fever. No one in our neighborhood had a car to take him to a doctor. My mother put a wet cloth on his forehead to bring down his fever. As the night went on his fever grew worse. At 2 a.m. I woke to the sound of gunshots and women screaming. “What is happening?” I asked. But no one knew and no one dared to venture outside to see. My mother would not allow herself to cry. 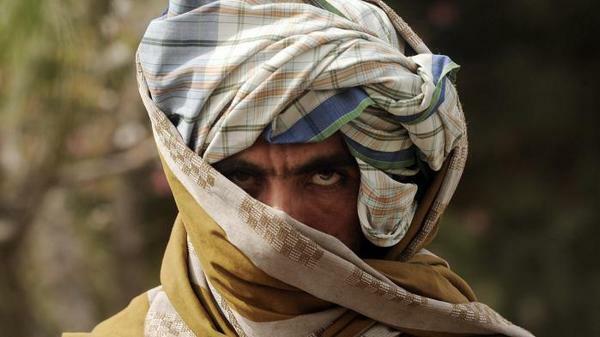 “Taliban is coming. They want to kill us,” he screamed. He was burning with fever. When the gunfire stopped, my father left to bring a doctor from the next village. The doctor examined my brother, gave him medicine, and left. Then we learned about a brutal robbery that had occurred the night before, leaving the wife and son of a prominent businessman dead. Their gold and money had been stolen. The news set off a panic in our neighborhood. If the Taliban could attack such a powerful family, which had security and gunmen, there would be no safety for ordinary people. In the weeks that followed our insecurity only increased. Two neighbors living fifteen minutes away were robbed and the women in the families were harassed. It was decided that we would have to provide our own security now that the government could not be relied upon. One man from each family would stay on guard throughout the night. My father worked all day and then put in five or six hours at night. He slept on the rooftop to ward off thieves and other dangers. Although Afghan people believe dogs are unclean and object to them for religious reasons, our neighbors all got watchdogs. One day a Talib with a flat tire came to my father’s carpentry shop, where he also fixed bicycle and motorcycle tires. As he was waiting, the Talib spotted a girl crossing the road and carrying water. “Do you know that girl?” he asked. “I think she is engaged,” my father said. Afterward, my father told the girl’s father what had happened. He knew the Talib’s intentions were not good. The girl’s father thanked him and soon afterward, they moved to Iran. After that, my father would not allow my two sisters and me to go to the river where we washed our clothes. Going to the river was easier than carrying hundreds of buckets of water from the well. We were already prohibited from going to school or to the public bath. Now we couldn’t enjoy the river either. We were living like prisoners. You have such a brave family. Thank you for sharing your story. It makes me appreciate the safety and security I have. I need to read stories like yours. We need to hear your stories. Dear Mahnaz, I can picture your father standing guard on the rooftop at night to protect you and then ordering you not to go to the river for fear of being spotted by men with bad intentions. Thank you for telling us this story. I hope you will continue with your tale. Thank you for sharing this story with us. It gives me not only a better appriciation for what I have here in the states, but a better understanding of what is happening over there. Your family is brave for staying where you built your house and not moving to Iran like your fathers friend. I hope you continue to tell your story. Stay strong!! When you read the stories like this it makes people like me who live in the united states look at what we have and what we take for granted. It makes me feel like i want to be over there helping you and letting you know that there is help for you. I feel sorry for what they have to go through and wish that i could help. Oh my dear Mahnaz, your writing continues to enthrall me, I love reading your thoughts and learning more and more about you. I am so proud of you and happy that I have been blessed to know you and have you as a part of my life. Keep moving forward my dear, don’t stop.